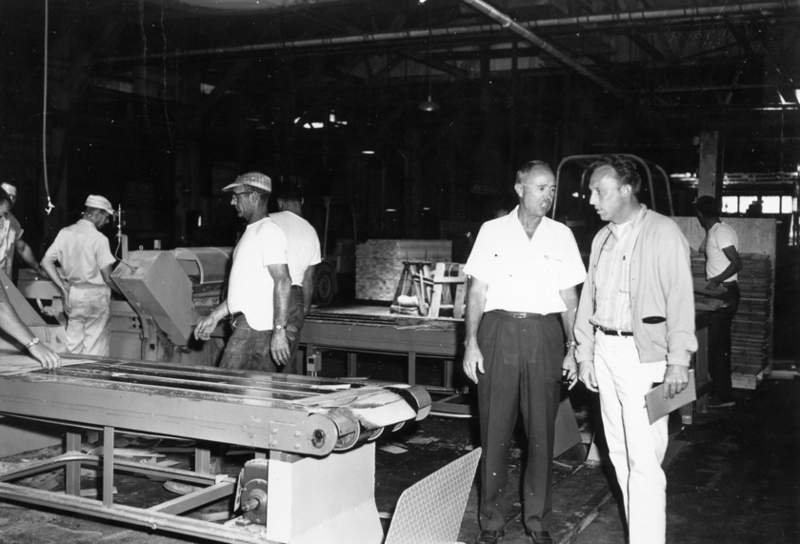 During the time of operation of the Blagen Mill in White Pines and the mill in Wilseyville, American Forest Products also had a large operation at Toyon. The site served as the main drying area for lumber from the Blagen Mill and Wilseyville. In addition to the drying function, Toyon was the hub where lumber from the other mills was put on railroad cars and shipped out economically. Then there was the mill function at Toyon. This mill was strictly a re-manufacturing operation. Toyon is at the junction of Highway 12 and Highway 26, where 26 goes to Mokelumne Hill and 12 goes on to join Highway 49 just West of San Andreas. Going west toward Valley Springs many of the large buildings that were the Toyon Mill still remain on the left or southern side of the highway. There was also a small mill on the right, or northern side of same location. 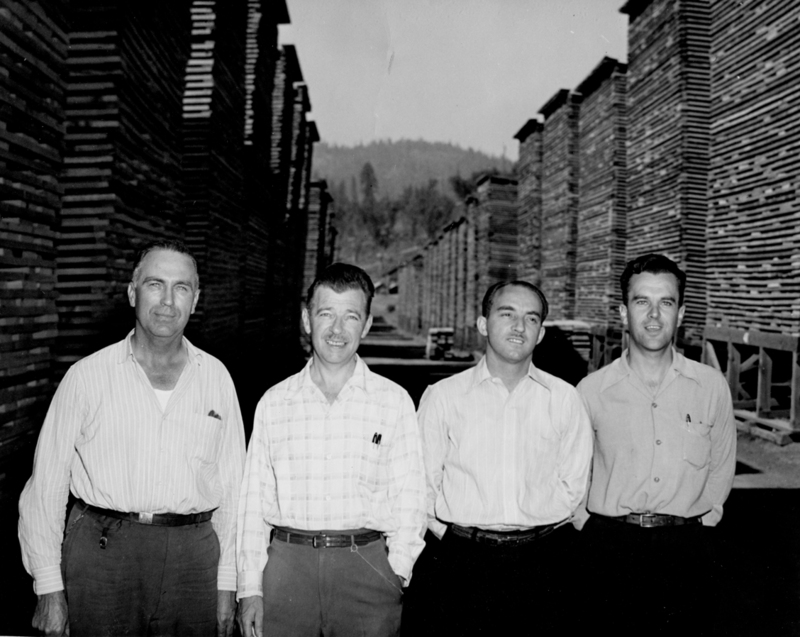 The Toyon mill dealt with lumber that had been previously cut at other mills. 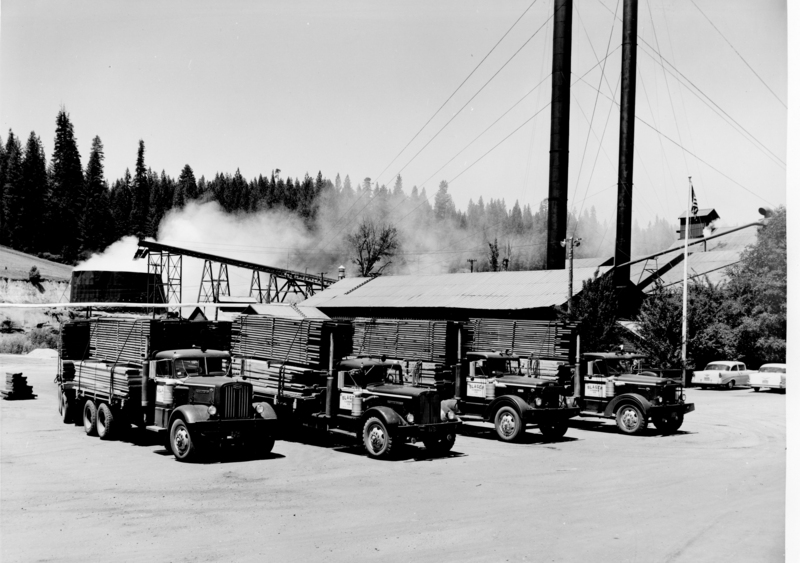 These 4 Autocar logging trucks leaving White Pines for Toyon with cants of lumber that will be further processed at Toyon. Autocars were serious trucks so American Forest Products had made a real investment in this part of the operation. On the Blagen Mill site we have a photo that is much the same as this one, except it had to be substantially older since the mill at that time only had one stack seen from this location. 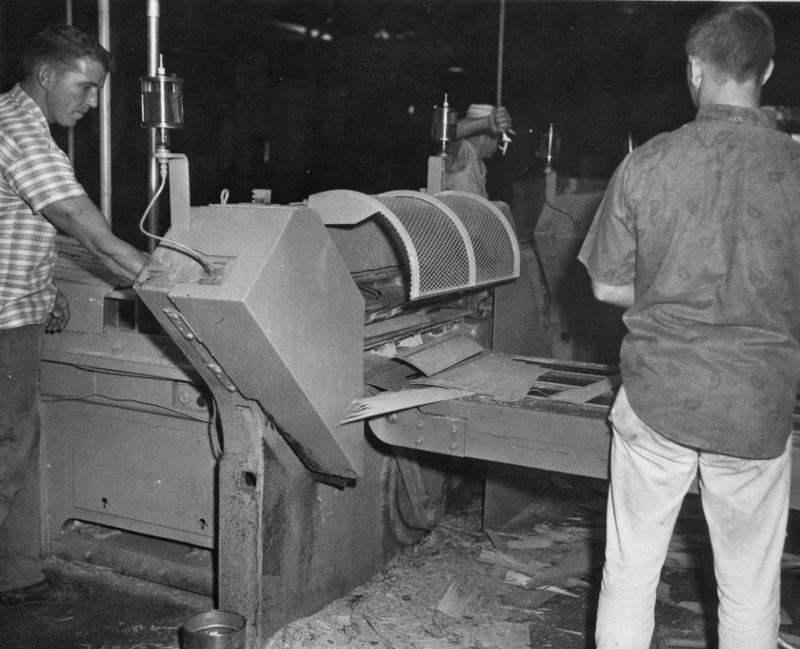 American Forest Products tried a number of things to make the mill more profitable, but got only mixed results. They put in a very expensive machine to make what was called KV board, kraft paper bonded to veneer (KV), that could be used for boxes and the like. They had two of these KV machines a small one that worked, and one that may have cost up to 2 million dollars, that never worked, and supposedly ended up getting scrapped in Japan. The machine never worked properly and attempts to make it work were finally abandoned. The opinion of several interviewees is that if the engineers had deemed to let the mill wrights work on the machine, it could have worked, but this apparently was never tried. 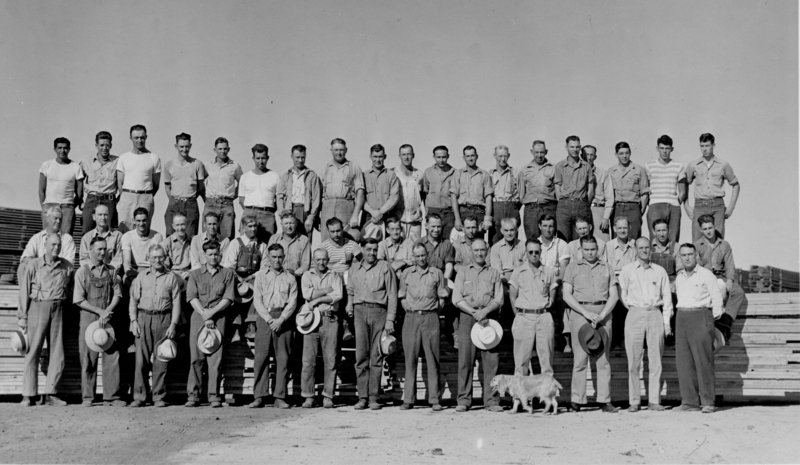 The Toyon facility may have lasted a couple of years longer than Blagen and Wilseyville which closed in 1962. This is unclear as this is being written. Recollection of a former worker there is that it closed in ’64 or ’65. Robert Fisher who worked at the Wilseyville mill tells us this about the saw mill part of the Toyon operation which closed after WWII. 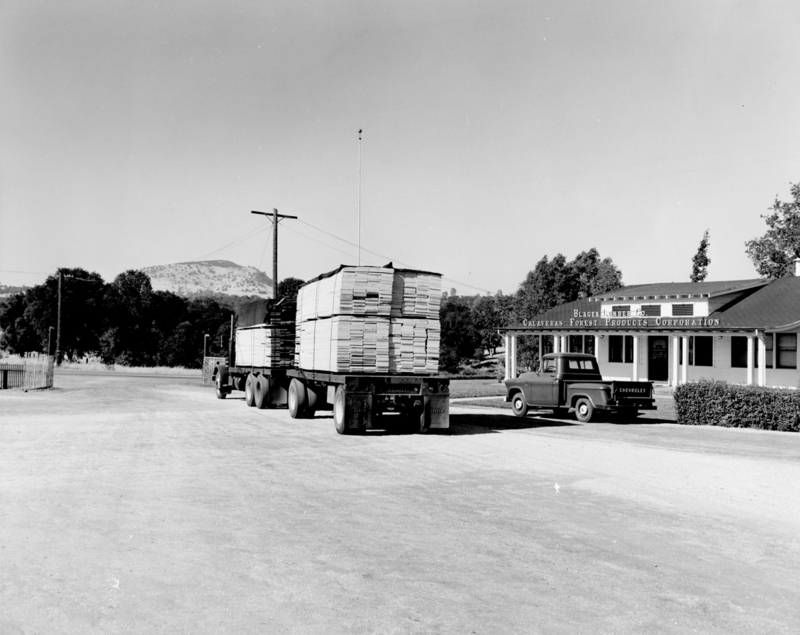 Across the highway from the Toyon facility was the Churchill mill that independently made short pieces of lumber from log ends and scraps from other mills. This facility failed financially and closed before the Toyon mill. On the left John MacWillie who was an accounting person, maybe the CAO? Close up view of Bill O’Donnell who built a fine home in San Andreas using wood products that he supposedly picked out by hand. The home was on Neils0n Road, looking down at the Grammar School. 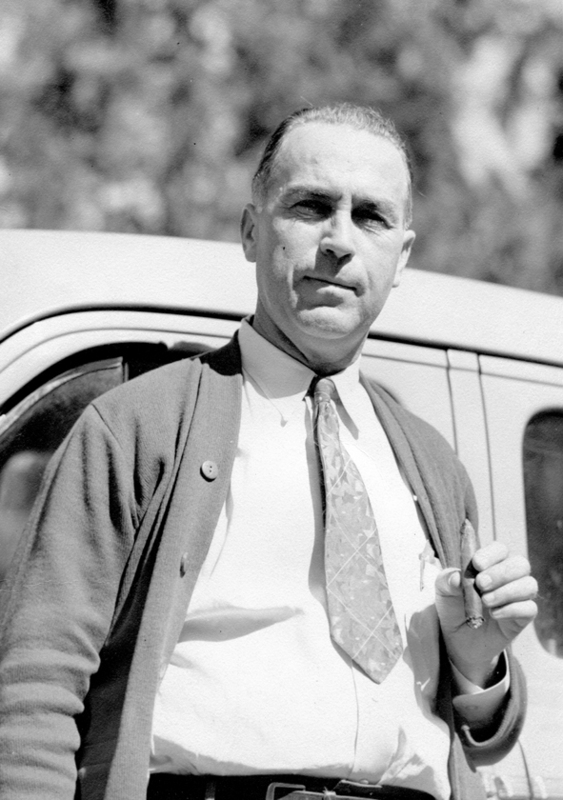 Lawrence Wilsey, General Manager of the Calaveras Mills. There is much more at other locations on this web site telling the viewer more about Mr. Wilsey. 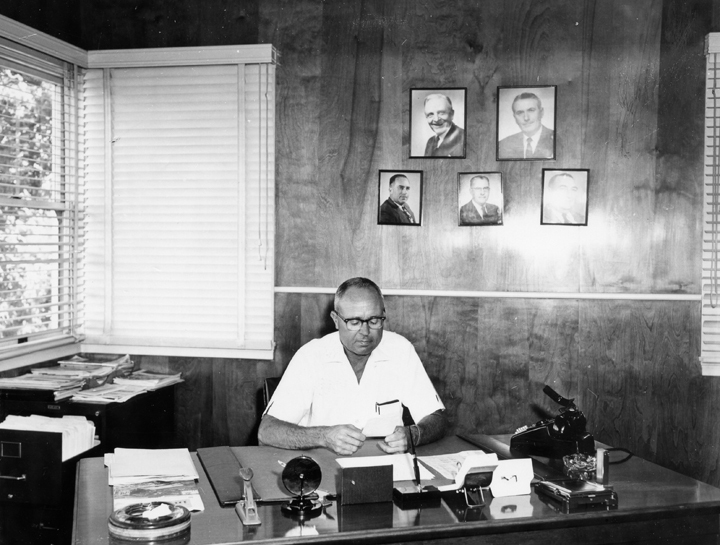 Lawrence Wilsey in his office with the big-wigs of American Forest Products displayed on the office wall. 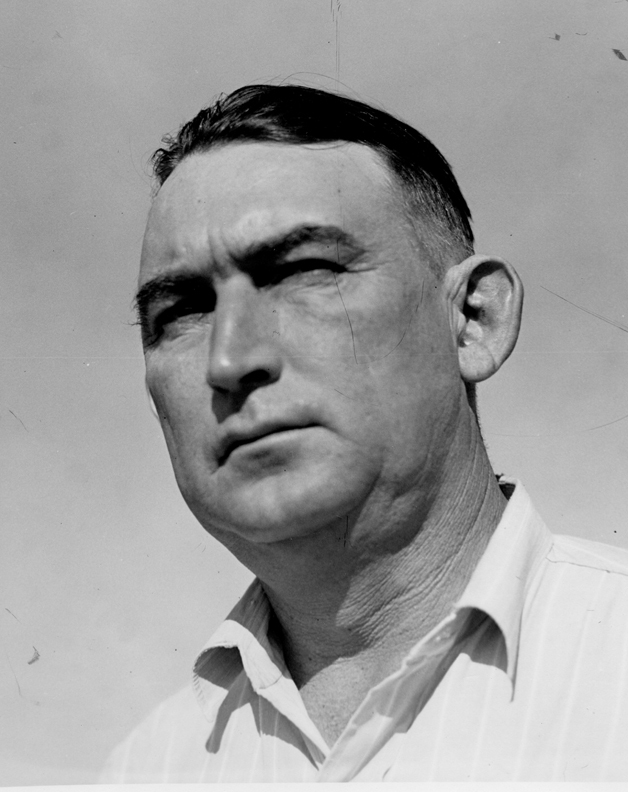 Tarter, Webster, Johnson, Charles Gray ? The editor thinks that other than management, he only recognizes Tommy Duke on the very upper right. On the bottom left are Bill O’Donnell and John MacWillie. Inside the Box Factory part of the Toyon operation. This might be a machine to put the Kraft paper onto the thin pieces of wood. 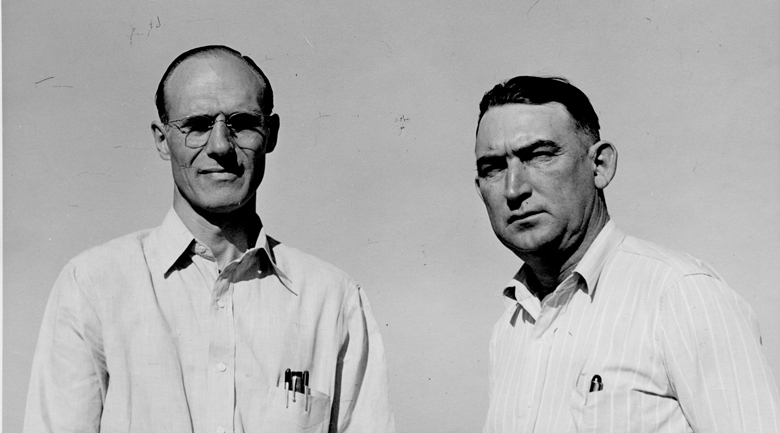 Bob Woods was an accountant working in the White Pines Mill office when my father, Lawrence Wilsey, was general manager. Virgil Ward was also a bookkeeper in that office at the time. My grandfather was killed at the Toyon mill. 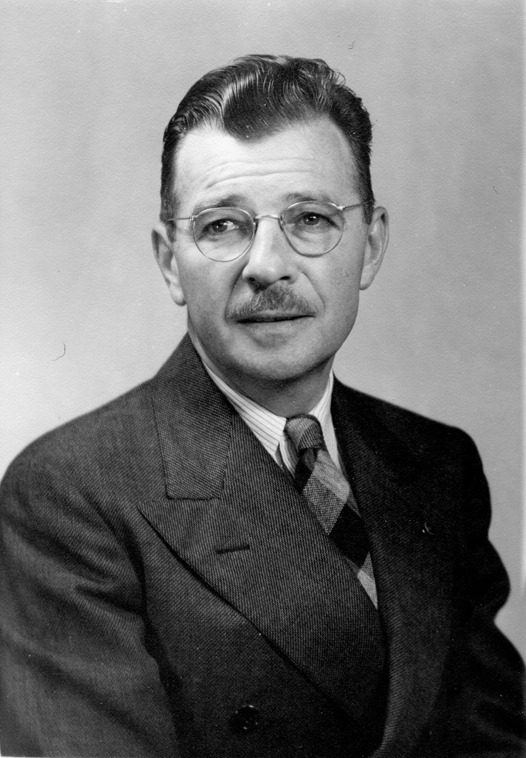 His name was Haupt… Is that why my grandmother owned all the land around Toyon and the house at Toyon, where my sister still lives. Or do they buy it from our family? ?